Sugar Dashboards show real-time for various modules like Leads, Opportunities and Accounts. Customize charts and reports or filter on reports to analyze sales performance. Gain deeper understanding of your customers through Reports. 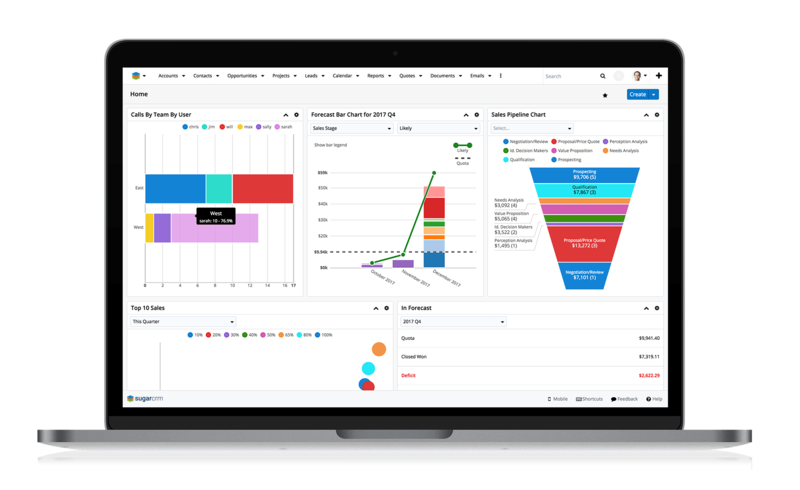 Monitor performance across your business including marketing analytics, sales trends, case reports, and customer profiles. Users can create real-time Reports and Dashboards on any metric and manage access, without having to rely on Administrators. Reports and Dashboards show customer profiles by industry, geography, company size, product assets, revenue and other important attributes. Understand your customer base and how it is changing over time.